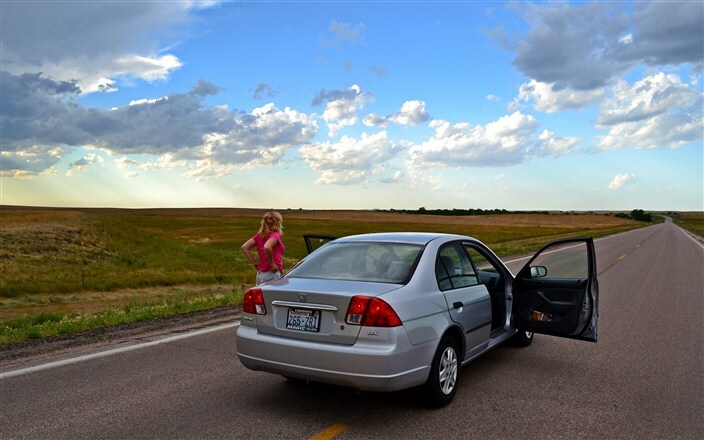 If jumping in your car and taking off on a road trip isn’t an American invention, it oughta be. There are few activities more closely associated with the USA than loading up the family vehicle and hitting the open road. Whether it’s a Sunday afternoon drive, a weekend fling down the coast to another state or two, or a weeks-long coast to coast and back again odyssey, they are all part of that greatest of all American love affairs: with our automobiles. The road trip is such an iconic, ingrained part of American life that it’s become synonomous with freedom, a rite of passage for young people, and for many of us the ultimate way to get away from it all, at least for a time. It’s also something you’ll find celebrated in popular culture down through the years in books, songs, television, movies and, naturally, commercials. (See the USA in your Chevrolet! Okay, I’m really dating myself with that one). On the Road by Jack Kerouac. Bob Dylan’s Highway 61 revisited. Route 66. The road trip in Animal House. National Lampoon’s Vacation. Pick your favorite or make your own list. As much fun as it can be reading about or watching someone else’s road trip, nothing can compare to taking one yourself. My wife and I endeavor to take at least one road trip every year to somewhere we haven’t been before. 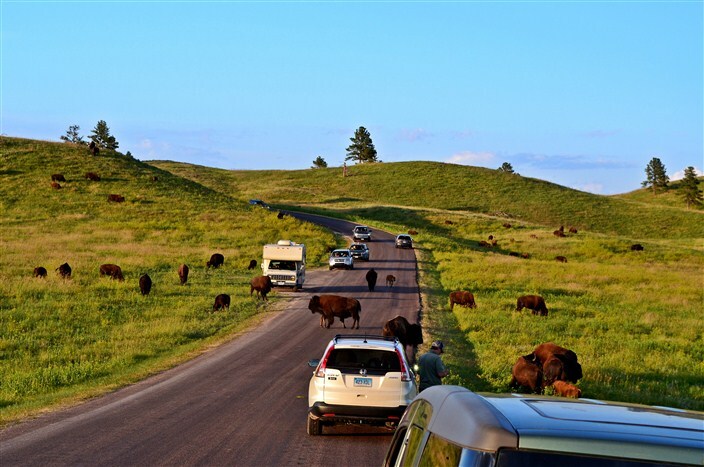 This past summer it was Montana, Wyoming, the Dakotas and as many national parks and monuments as we could fit into ten days. For Irina most of this was virgin territory, and although I’d seen much of it before, I love this area of the American West so much it’s always a treat to return. In previous articles here on the site, I’ve already detailed much of this trip, particularly the parks and monuments stuff. While those destinations may naturally be the focus and the highlights of a road trip, I want to concentrate in this article on some of the smaller joys of a long drive: the unexpected discoveries, the lesser traveled byways, the small towns and unhurried moments along the way. 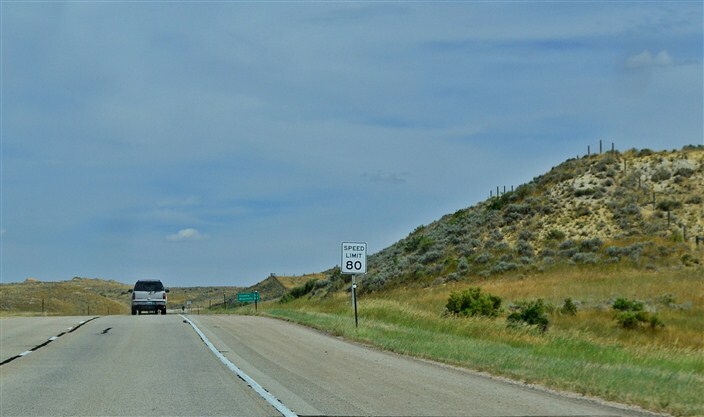 Everyone knows the U.S. Interstate freeway system is the only way to go if you’re simply wanting to knock down the miles and get from point A to point B as quickly as possible. 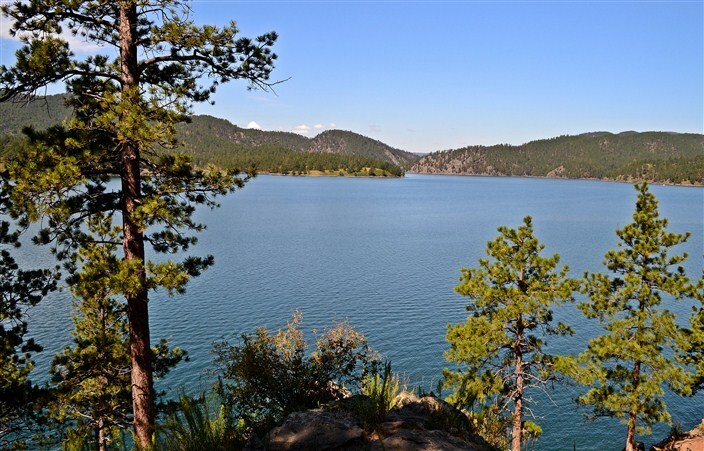 If, however, you’re looking to get off the beaten path and see something more interesting than mileage markers and cookie-cutter rest stops, you need to wean yourself from that high-speed rush and hit the smaller roads and highways. And there may be no better place to do that than the Dakotas, which is exactly what we did when we’d finished with Mt. Rushmore and Badlands National Park. We wanted to head north from Badlands N.P. 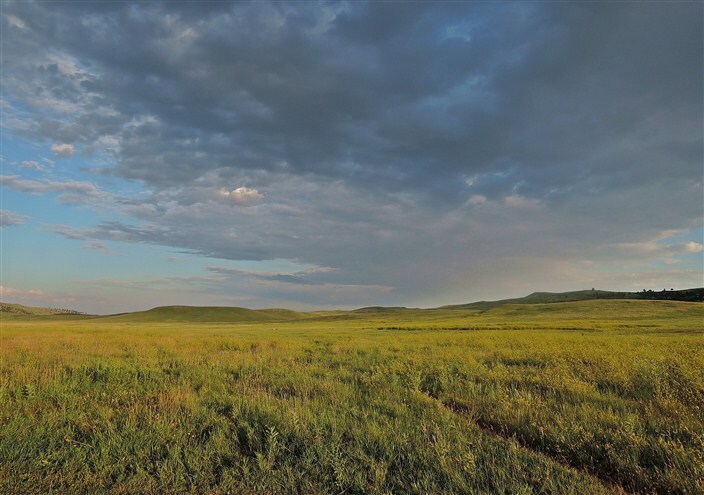 to Theodore Roosevelt National Park in North Dakota. A quick perusal of our maps indicated several possible routes. 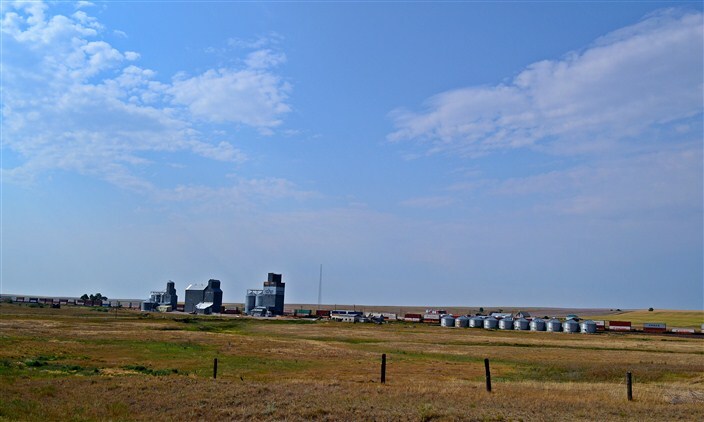 We headed east for a short time on Highway 14, then took South Dakota 73 straight north through the farmlands of western South Dakota. One of the joys of driving this part of the country is the huge distances you can see in virtually every direction due to the openness of the terrain. 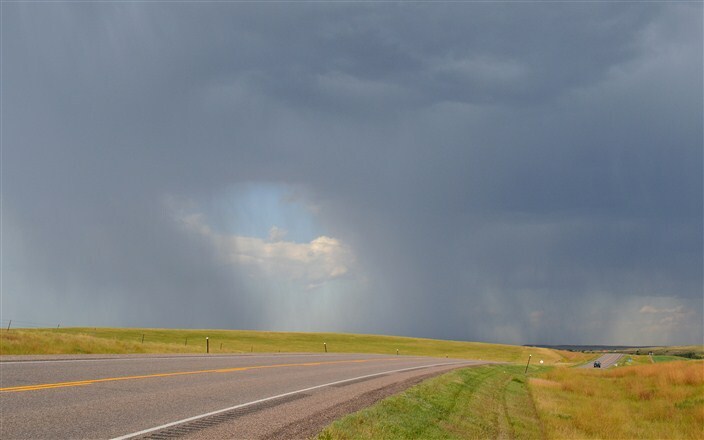 Consequently, we’d been watching thunderheads and rainstorms encroaching on the horizon for hours and the first thing we did was head straight into one. 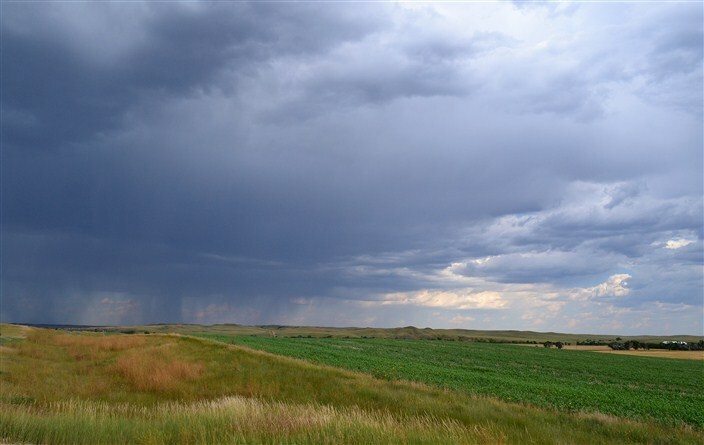 As a child of the Midwest I grew up with earth-shaking summer thunderstorms. They are one of the few things I miss about that region of the USA, so I was hoping for some real lightning and window-rattling thunder. Alas, disappointment was all we got besides a little rain, a few minor rumbles and one or two distant flashes. 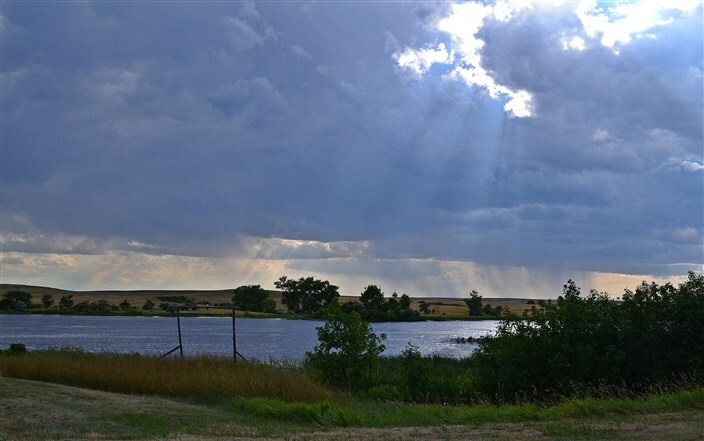 Still, it was fun watching the clouds roll in and out and the weather changing almost by the minute as we drove Highway 73. 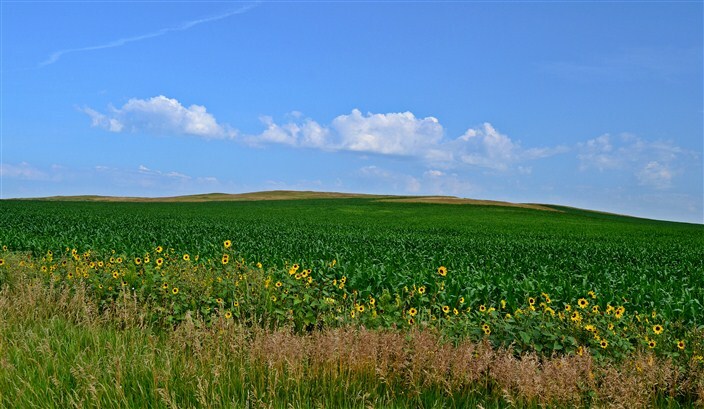 Some people have the mistaken idea that this area of the country is all a flat and featureless landscape. True, there are no mountains, canyons, or other dominant geographical marvels to gawp at, but we enjoyed every mile of it. 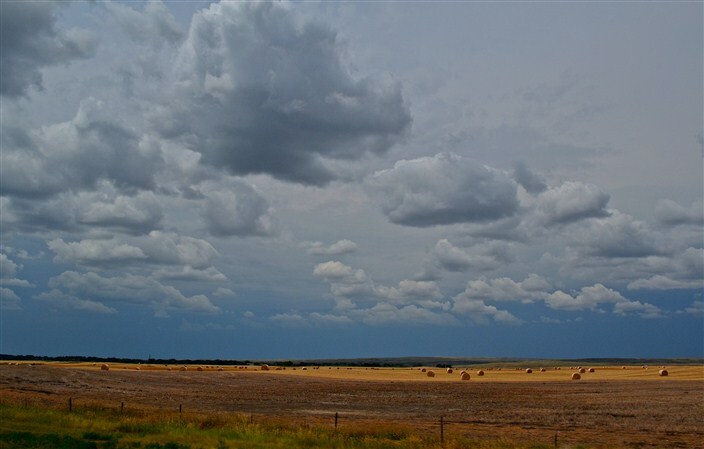 There is something indefinably wonderful about cruising through all that vast, sparsely inhabited open space with only the occasional other vehicle passing by and golden fields of grain and empty miles of road spooling out ahead of you. As someone who lives and drives every day in a congested urban environment, you can’t put a price on that feeling. 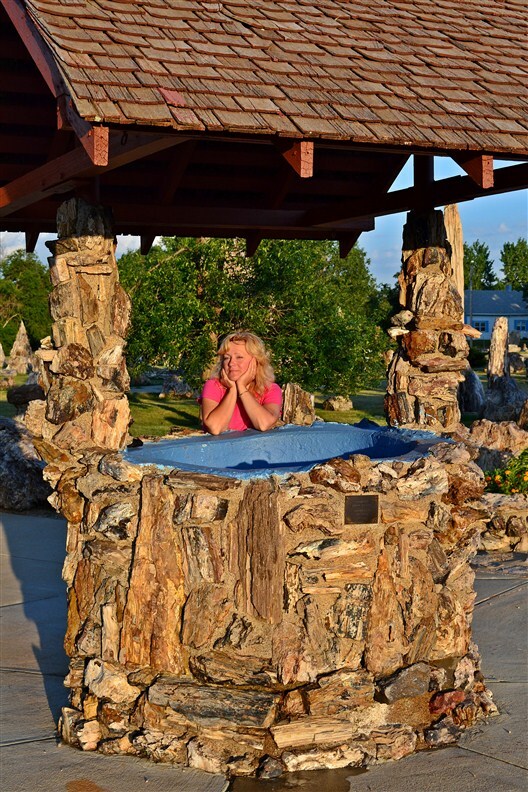 The end of the day brought us into the very small town of Lemmon, South Dakota just a mile or two from the North Dakota border. 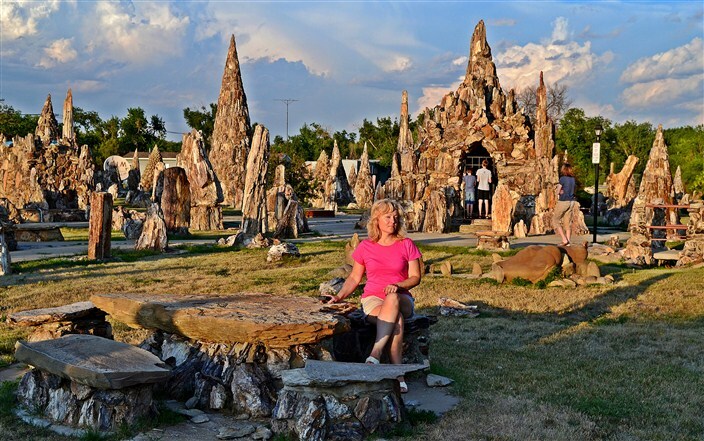 It’s quintessential small-town America – a couple of motels, a couple of cafes – but it was in Lemmon that we had one of those completely unexpected roadside discoveries that make a road trip memorable: The Lemmon Petrified Wood Park. 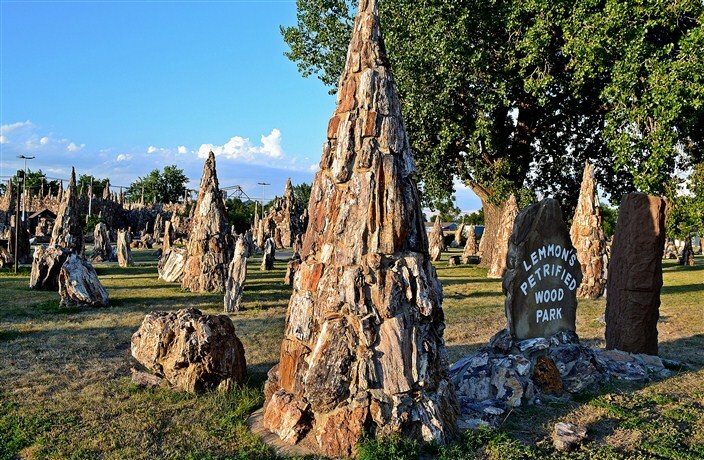 The park is an entire city block filled with lumps and spires and carvings of petrified wood, like something out of a fairy tale. There’s a castle, a wishing well, a waterfall and too many bizarrely shaped creations to catalog. I kept expecting gnomes and dwarves and elves to pop up behind every display and ask what we were doing in their forest. It’s exactly the type of thing you could never plan for but which makes all those miles you’ve traveled worthwhile. We spent an hour wandering through the park and learning some facts about it. 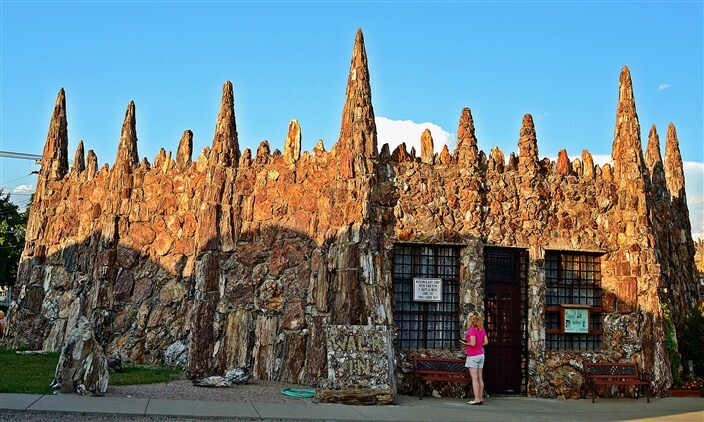 It was built in 1930-32, the brainchild of a local resident by the name of Ole S. Quammen. It employed thirty to forty men during the Depression when work was a scarce commodity. The city of Lemmon took over the park in the 1950’s when it was donated by Quammen’s heirs. There are two separate museums in the park, and the best part is it’s all free of charge. Just park your car and walk on in, have a picnic if you want or just stroll the grounds and enjoy. 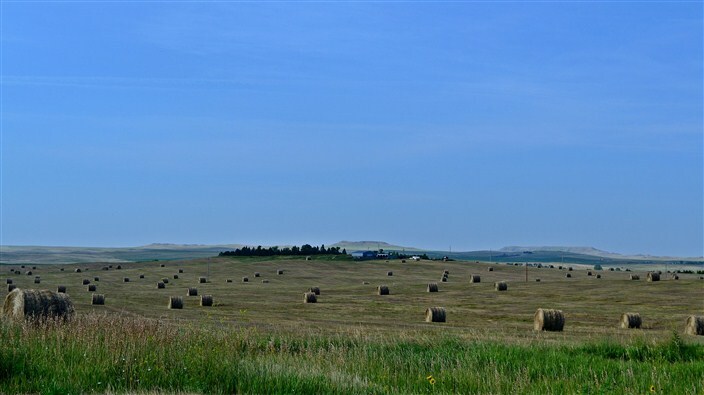 We spent the next few days driving more of the region’s lesser-traveled roads in North Dakota and Montana before heading home. We’d hoped to stay on the smaller highways all the way home to western Washington, but our earlier dawdling came at a price. Time constraints now meant the last day of the trip we would have to make good time, so with some disappointment we jumped back onto I-90 and hit the gas. As the miles rolled past us, though, we had the memories of many days of unhurried, uncongested road tripping to remember.